Changsheng(CS), HQD and all the other Chinese brands models include GDZ105x102-3.5, GDZ120x103-4.5, GDZ120x103-6, GDZ120x103-7.5, GDZ93x82-3.5, GDZ93x85-2.2, GDZ93x85-1.5, GDF46-18Z/1.5, GDF46-18Z/2.2, GDF46-18Z/3.5, GDF60-18Z/4.5, GDF60-18Z/6.0, GDF60-18Z/7.5 and more. 1. The air cooled spindle body is made of high quality aluminum material. It is smooth, clean and does not rust. Double tests are carried out before delivery. 2. The rotary precision is high, and the precise steel ball holder is adopted, this guarantees the turning accuracy of the spindle motor in high speed grinding. 3. Fan cooling is more convenient. As the water cooling spindle motor needs to connect the water pump, so you need a tank to fill the water, you also need to connect the water pipe, especially it is easy to get freeze in cold place, and some customers may find it troublesome. While air-cooled spindle motor will not have such troubles. 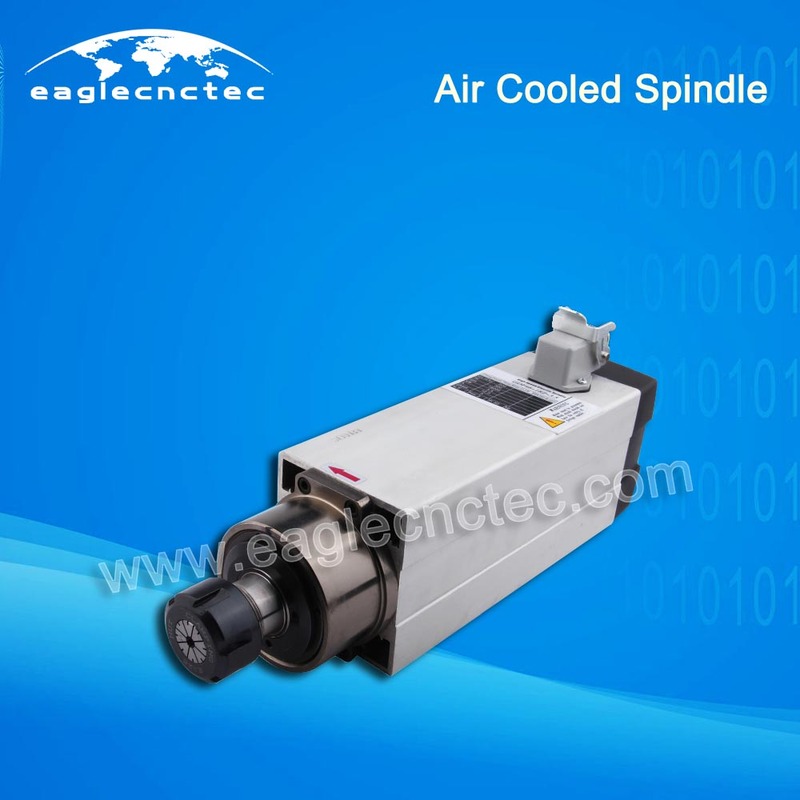 To learn more details between air spindle and water spindle, please click here. Get all cnc router spare by one stop shopping here. Payment can be made by Western Union, Paypal, and Bank Transfer. Please inquire now !